The on again, off again Rock And Roll Hall Of Fame Induction reunion of the band, Chicago seems to be off again permanently. This would have been the first time they all played together since Peter Cetera left the band in 1985, but discussions over the set list apparently broke down. Seriously, you can’t get together one time because you all can’t figure out what songs to play? Children please…..
Maybe this is why it took so long to get in….Just saying. Unfortunately, this scenario doesn’t work for me. I know we all did our best to make it happen, but I guess it’s just not meant to be. Personally, I’m frustrated and tired of dealing with this and it’s time to move on. I have a life with two beautiful daughters and a solo career and its time to get back and give them all the full attention they deserve. Thanks for all your help and consideration! Have a great show and please send any individual award I receive to the contact you have for me. The rock group, Chicago, is honored to be inducted into the Rock and Roll Hall of Fame on April 8 in New York and are looking forward to performing at the event. The four original band members, Robert Lamm, Lee Loughnane, Jimmy Pankow and Walt Parazaider, will be there as well as former original band member Danny Seraphine. 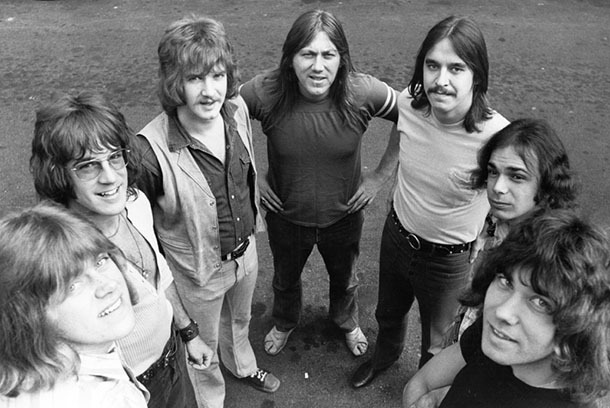 Peter Cetera, despite the best efforts of the Rock Hall and the band to reach a happy middle ground, made his decision not to participate. He has made it clear twice now that he will not attend or perform. Cetera, who was an original band member, has been gone for over 30 years. Chicago have performed consistently every year heading into their 50th anniversary without ever missing a year. This entry was posted in News and tagged 2016, Chicago, Induction, Peter Cetera, Rock And Roll Hall Of Fame.